Francesco Ragazzi (FR): What is interesting is that the first attacks in January 2015, on the Charlie Hebdo office, came not much more than six months after the first counter-radicalisation programme ever was announced in France, in April 2014. 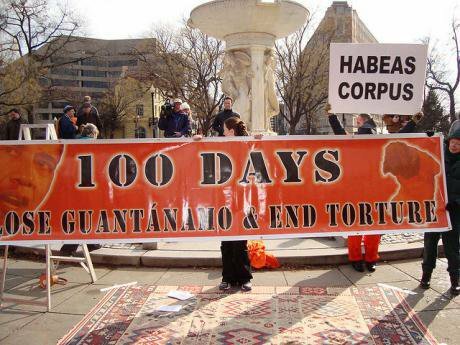 They paved the way for this strategy with a ministerial report which was kept secret, in fact until a few weeks ago when it was made public by the French media outlet, Mediapart. The report was headed up by Prefect Jounot who was mandated by the prime minister at that time, in 2012-2013, to try to get to grips with what was best practise in the Netherlands and the UK, as well as what was going on at the EU level. This attempt to revise policy was in turn a response to a series of developments including the Mohammed Merah killings in 2012. France had been spared terrorist attacks over a long period from 1996 to 2012, during which time it had relied primarily on a law enforcement strategy, the work of intelligence services and the police and no or very little involvement of civil society or any other groups in the counter-terrorism apparatus. Intelligence services, specialised departments of counterterrorism in the police, and anti-terrorism judges – this was the way counter-terrorism had been structured and organised in France. It is not really a response to a changing threat, or to an analysis of what the response should be. 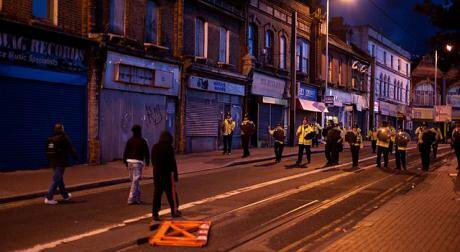 Stand-off between rioters and police in Croydon, London 2011. Flickr/ Raymond Yau. Some rights reserved.But then it was very quickly re-appropriated in the language of counter-terrorism, with the idea that home-grown terrorism, emerging from the suburbs of British, Dutch and other big European cities was in fact the product of multiculturalism. This reached the point where even Nicolas Sarkozy, strangely enough, though multiculturalism had never been on the agenda in France, thought fit to denounce it as well, as a failed system. When you do this, what immediately becomes very clear is that within this whole overarching discourse of questioning multiculturalism – both in the UK and the Netherlands that had, explicitly or implicitly, operated by the multicultural principles of governing through diversity, and in a France that hadn’t – what was really happening was the management of diversity without any open political discussions about them. Instead of saying, we need to pay due recognition to this community because this is the right thing to do, or because this is the way that we want to organise our society, now it became a question of, “We need to govern in particular these Muslim communities in such and such a way, because otherwise it will create a terrorist problem.” Instead of open discussions about how and what should be the model of citizenship in our contemporary European societies, all the talk instead was of what kind of welfare we should provide, what kind of recognition, what kind of place we should give to religion in society, so that we don’t provoke an attack on our way of life by “angry Muslims”, and so that we can prevent people from becoming radicals, going to Syria and so forth. Gare de Lyon. Flickr/Jon Siegel. Some rights reserved.Therefore the politics around these issues are gradually reduced to a bureaucratic decision regarding the most efficient choice to be made for tackling this threat. And in France, when you ask how this has influenced the response to the Paris attacks, of course institutions don’t change overnight, but it has had some impact. For the first time you had a directive from the minister to the prefects who are in charge of administering the counter-radicalisation strategy, telling them to set up dialogues with the religious representatives! This is entirely unheard of in France. This recognition that religious representatives could be part of social policy, and that the French would recognise or deal with an organised form of Islam, such as the official representative body of Muslims in France, the Conseil Francais du Culte Musulman (CFCM), was resisted by many as quite contrary to the principles of laïcité. In fact if you dig into how laïcité is supposed to work, it’s not that clear cut, there were always debates between accommodating and maximalist positions. But this was the first time that there was an acknowledgement of Islam, and the place of religious representatives, in the management of the terrorism question, branded as “radicalisation”. So implicitly it made the recognition of the Muslim community as a community by the state something of a reality, which it had not been hitherto. And the driver for that was the fear of terrorism. Underpinning all of it is always this idea that it is a Muslim problem. There are many reasons why Nicolas Sarkozy built on the initiatives of the previous ministers before him and created the CFCM. Not all of them had to do with security. Some of them were to do also with short-term electoral expectations that he would get something of a Muslim vote, and that didn’t really work out for him, so he abandoned the idea. But the institution stayed. And so progressively the French state started changing in its approach to Islam and to Muslim communities. Now, many of the initiatives that are taken by the French state are done under the rubric of a partial recognition of communities. There is a hotline that can be called if you think somebody is at risk of radicalisation. Various local schemes will be based on religious cults, so Salafism and violent Salafism can be treated like sects, like scientology or something that you should be protected from, or that can be observed under the heading of youth violence. But underpinning all of it is always this idea that it is a Muslim problem. The minute you ask a French official about this they will say, “Of course we don’t recognise communities.” But this is how it actually works on the ground. It always ends up being about Imams, communities, what does the Muslim community want, how is the Muslim community making an effort to tackle radicalisation and so forth. So I think it has had quite a strong impact. 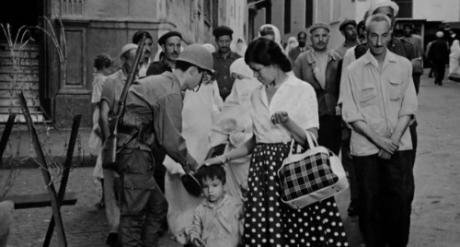 Scene from Pontecorvo’s 1966 masterpiece, The Battle of Algiers, a film about the Algerian War of Independence.The ideas of escalation that Arun Kundnani has developed with others, alongside the earlier work of Didier Bigo on the ‘terrorist relation’, that of Martha Crenshaw and also Donatella della Porta from a social movements theory perspective – all of these help us to see that in fact if you don’t take the state into account, whether it is the state of origin, as in Egypt, Syria, or Algeria where we think about the GIA and the civil war that happened there – but also the state over here in our liberal democracies, you are ignoring an essential component in the escalation of violence. So if you don’t include the state, the foreign policy of the UK or other countries, the sense of discrimination created by law enforcement and other agencies, if you don’t factor in all of these elements you have a very very partial account of why at any given stage people decide to engage in political violence. So if you don’t include the state, the foreign policy of the UK or other countries.. you have a very very partial account. But France has other techniques, like the regional units for the disruption of radical Islam (Pôles régionaux de lutte contre l’Islam radical), which consists of agencies from non-law enforcement services such as tax, veterinarian, health and safety and the police going into cell-phone stores, butchers, different kinds of shops, raiding entire streets because they have targeted one shop or business which they think supports terrorism. But in order to be invisible and not seen to target specifically Muslim businesses, they go and visit the entire street. Then they look in detail into a particular business, trying to find anything they can peg onto its business practise, which has nothing to do with terrorism. It might have to do with a breach in health and safety for example, or irregularities in how the taxes were declared – but they scour the business for sufficient fines they can levy to disrupt the activities which they consider might be linked to the financing of terrorism. 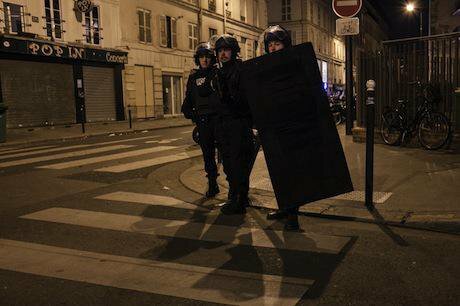 These raids are a concern to a lot of people in France. 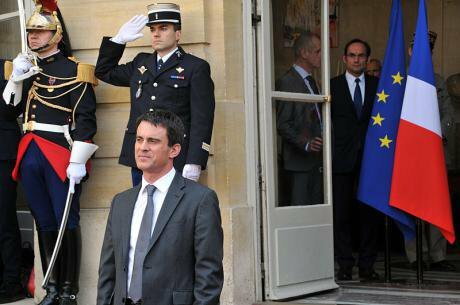 Manuel Valls, Prime Minister of France. Zaer Belkali/Demotix. All rights reserved.RB: We heard so much about free speech during the Charlie Hebdo atrocity, but here again we have very mixed messages being raised at the EU level where such questions are put forward for consideration as, “to what extent online content can be blocked if it does not directly violate the law?” – this, against a background in which hate speech legislation seems to creep into more and more of the ways in which we deal with each other as citizens? FB: I would like to say two things on this point. The first of course is that you are right that all of this is grounded in a predictive, anticipatory idea of security. Probably one of the more significant paradigm shifts of the past ten to fifteen years has been the increasing belief that law enforcement and policing should be predictive rather than reactive, and this is changing the entire system of criminal justice, so that it is no longer proof but just suspicion which is sufficient to enact a certain number of either administrative practises, such as the freezing of assets, control orders – they have now been transformed into temporary measures (TPIMs) – measures that operate below the threshold of proof, but that are thought to be enough to restrict liberties and prevent people from engaging in terrorist-related activities. Certainly, this is anchored in that kind of predictive understanding of policing and that shift has been discussed a great deal in terms of algorithms, mass surveillance, the Snowden revelations and how all of the justifications for this mass surveillance lie in the promise - and it is very much a promise and maybe a myth – of the ability to predict through numbers, big data and so forth, who the next terrorist is going to be. There are a whole set of professions that also operate on the basis of trust: teachers, kindergarten instructors, university professors, doctors, lawyers… all having a certain privileged relationship with their clients, the students, patients, general public that they work with, that is based on trust. And indeed they depend on those trust relations as the only possibility for them to carry out their work properly. Right? So in a way, these are professions that have the opposite a priori relationship with the public to the law enforcement and security professionals. A customs officer or a policeman should be a priori suspicious of what she or he observes, or they won’t be doing their job properly, whereas a doctor must have her or his trusting relationship with the patient or be unable to understand what is going on. The same goes for a teacher or a professor: you cannot create a proper learning environment if you don’t establish a proper relationship of trust in the classroom. RB: Could you also explain the negative impact of the Prevent strategy in relation to social and economic inequality, where assumptions regarding the cause of radicalisation coincided with substantial cuts in spending earmarked for developing disadvantaged neighbourhoods, so that Prevent became one of the sole sources for funding… Could you explain how this stigmatised the ‘suspect community’, so that by 2010, the Communities and Local Government Cttee. of the House of Commons was denouncing this focus as having “increased the risk” and "not been constructive”. FR: Well, this I think is quite specific to the UK. Community projects flagged as Prevent became one of the only sources of funding.There might be a manifestation of it in other countries, but we should look at the evidence first. Because Prevent was initially based on the assumption that the recourse to politically motivated violence was due to dire economic and social conditions, it was deployed in local authorities through the Department of Communities and Local Government – on the controversial basis of the percentage of Muslim population in designated target areas. This coincided, after the economic crisis of 2008, with important cuts in community-related spending. 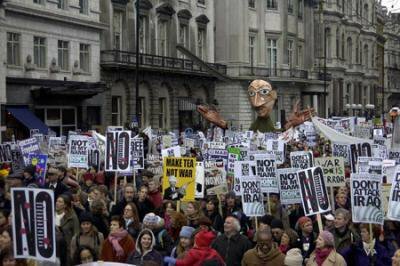 Community projects flagged as Prevent became therefore one of the only sources of funding for several NGOs, who then had to take the difficult decision whether to accept abundant ‘counter-terrorism’ funding for their activities or chase meagre alternative sources. As Paul Thomas has shown rather convincingly, for non-Muslim community leaders, it generated frustration, as the traditional funding sources they relied on became unavailable, and they could not claim the new ones. The Channel mentoring programme raised similar concerns. Individuals are identified by or referred to professionals (police, local authorities, teachers, doctors, social workers, youth services, offender management services) who then devise a ‘support plan’ for the individual, generally through a mentoring programme. Between 2007 and 2010, 1120 people were referred to Channel. Although Channel is not purely targeted at young Muslims, there is a widespread feeling in the Muslim community that regular activities such as political involvement in peace movements or a pious religious practice, when carried out by young Muslims, trigger unnecessary referral to the Channel programme, due to the lack of experience of those who refer them. And certainly this is one of the effects of this suite of policies. Because radicalisation is such a vague term, and because nobody knows what one sign of radicalisation actually looks like, and frankly I don’t know what that sign would be... everybody is working with the stereotypes they have about what constitutes a radical. And for many, including civil servants, police officers or maybe local intelligence services, participating in perfectly legitimate political events which question UK’s foreign policy, or which might question the war in Iraq or in Afghanistan, or any other topic that may not be very palatable to the administration, or to the authorities – is considered to be a sign of radicalisation.